PHILADELPHIA (WPVI) -- Sure, fans were cheering the return of Markelle Fultz to the court on Monday night at the Philadelphia 76ers game. But there was another return that had the crowd on the foot. The Super Bowl Champion broke out the dance move during a break in the action. The 76ers in-arena entertainment asked fans in the stands to pull off their best moves for the 'Backpack Kid Dance Cam' as Ayo & Teo's Rolex played over the speakers. Hollins was up for the challenge. The dance originated from a 15-year-old Georgia boy named Russell Horning. After posting his video online, he became an internet sensation and stole the show during an appearance on 'Saturday Night Live' with Katy Perry. 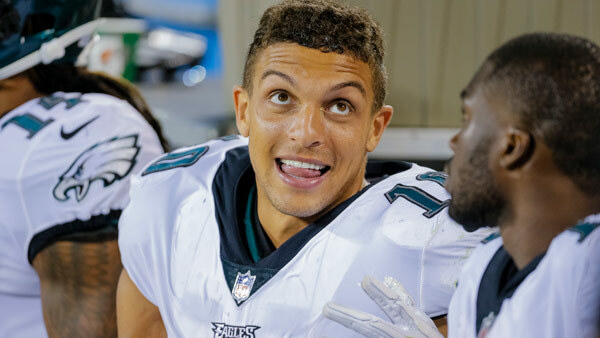 Hollins first proved he got the move down after scoring his first touchdown, a 64-yard touchdown pass from Carson Wentz on Monday Night Football against the Washington Redskins. Hollins told ESPN back in October that he was able to connect with Horning after that game. "He's way more famous than me or viral than me," Hollins said. "Hopefully we can get him to a game. We've talked and we've exchanged words. Maybe we can get him to a game and we can make a video together." 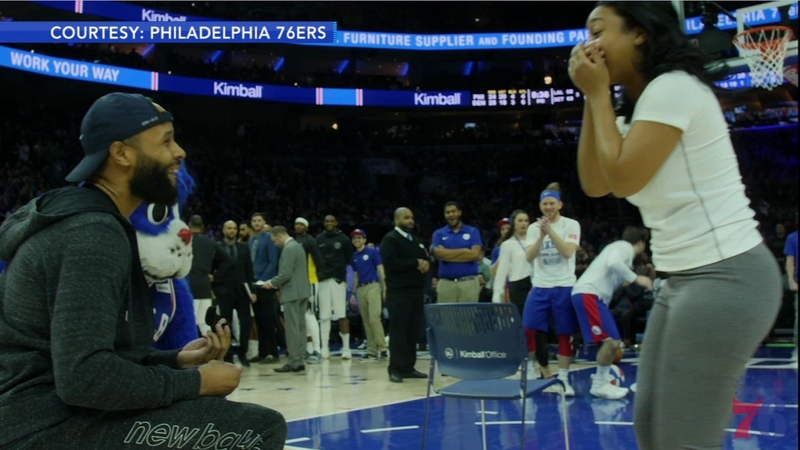 There has been a lot to cheer for at the Philadelphia 76ers games lately and one couple's surprise proposal added to the excitement. The 24-year-old said in college he always had a backpack. "They called me 'Backpack Mack,'" he said, as reported by USA Today. So where will 'Backpack Mack' show up next? We'll be watching.